Within the edgy New Majestic Hotel is The Majestic, a modern restaurant with a causal yet classy vibe. The boutique hotel is located in Singapore’s historic Chinatown, a 5-minute walk from Outram Park MRT Station. 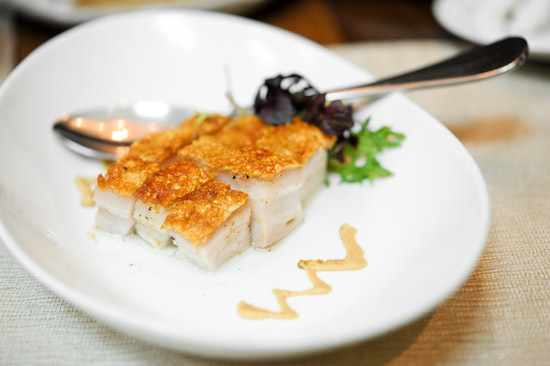 Majestic Restaurant is known for their Cantonese cuisine and it has been around since 2006. Chef Yong Bing Ngen (who also runs Jing Restaurant at One Fullerton) is no stranger in the Singapore Food scene. Previously from Doc Cheng’s and Hai Tien Lo, he led Majestic Restaurant to clinch the Asian Restaurant of the Year title during the WGS 2010. I was at Majestic Restaurant on a Sunday for dim sum brunch. With only 13 items on the Weekend ala carte dim sum menu, there is not much choice. 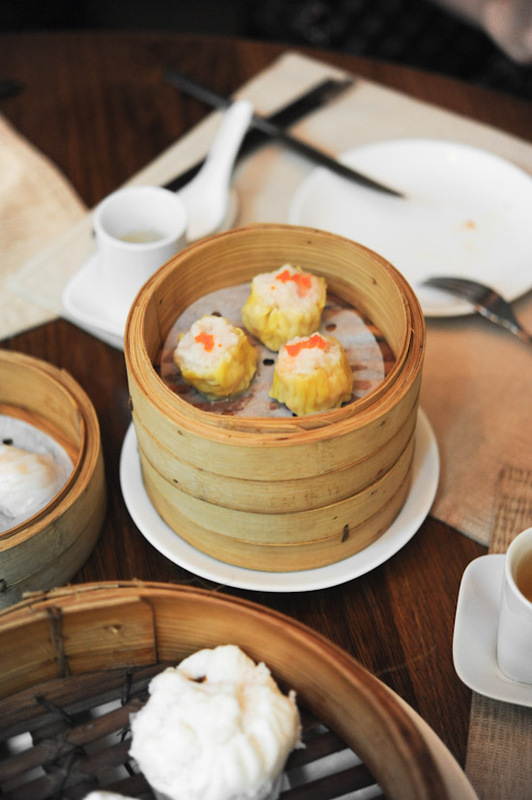 Most of the dim sum are priced at $4.50 for a basket of 3 pieces. Even though I’ve eaten at many dim sum restaurants in Singapore, I have yet to taste a 10/10 Siew Mai. Nonetheless, I am happy to say that Majestic Restaurant’s Steamed Pork Dumpling is better than the average ones that I’ve had. 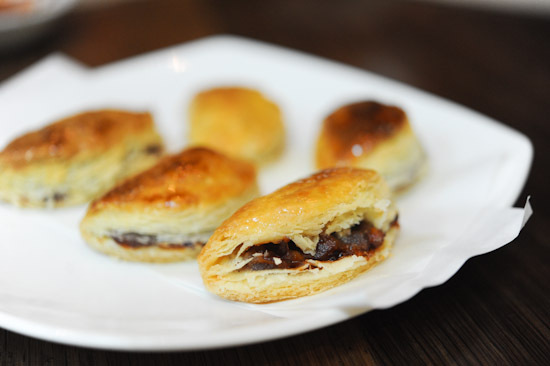 The Custard Bun ($6 for 3) at Majestic Restaurant comes in two options: steamed or deep-fried. Evidently, we had the steamed ones, and it was quite a moment as the molten custard flowed out. Majestic Restaurant’s Custard buns were good, but not great. 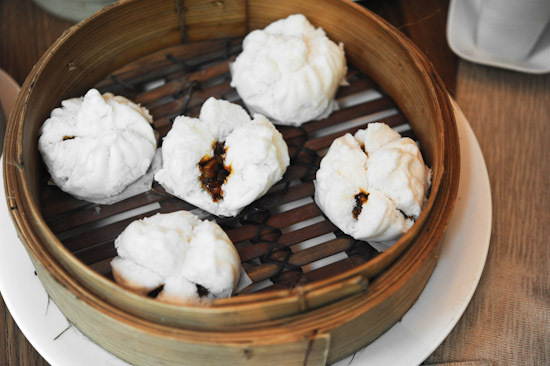 Next up, we had the fluffy and soft Steamed Barbecue Pork Buns ($3 for 2). We also had the ubiquitous Steamed Prawn Dumpling ($4.50 for 3 pcs). As much as I think that Har Gow is boring, there’s something profoundly reassuring to see a basket on the table. 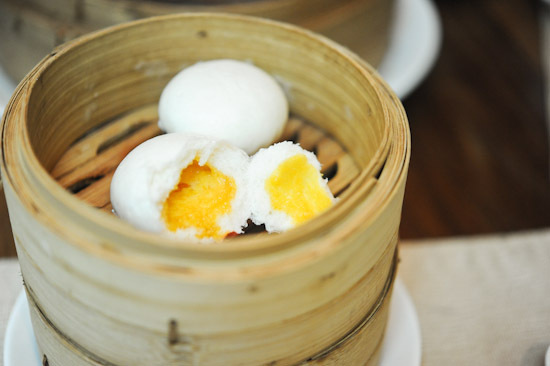 The mere presence of it makes you feel that you are really having dim sum. 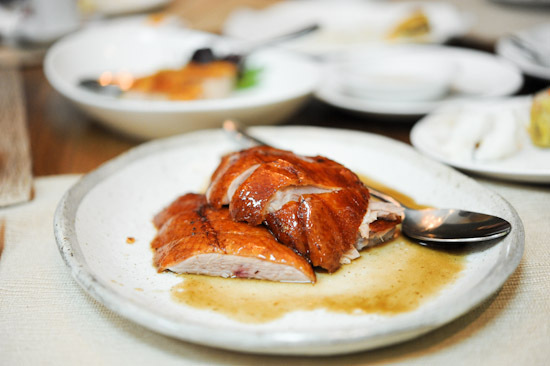 I have a soft spot for Roast Duck ($20), and the one I had at Majestic was good. I think the picture of the Roast Duck tells you everything. It was impossible to stop at one cube of Roast Pork ($12), but thank God the portion was tiny so it made us less guilty of having more. 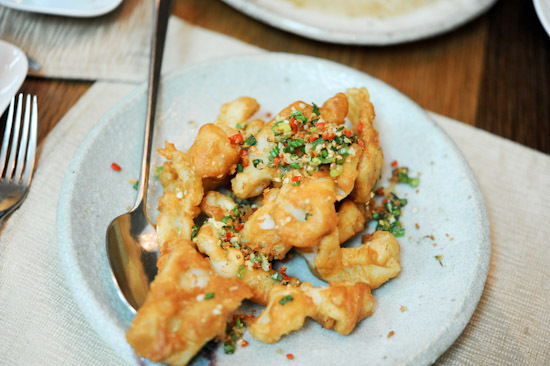 The Deep-fried Baby Squid ($12) was a great appetiser. It was strangely addictive and we couldn’t stop eating it. 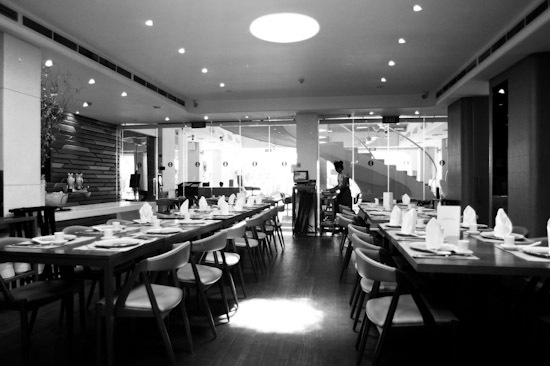 All in all, Majestic Restaurant is a stylish Chinese Restaurant and it is an ideal place for a quiet business lunch. Most of the dim sum items that we had were decent, nothing particularly outstanding. If you are thinking of visiting Majestic Restaurant for dim sum, do note that they only have 5-6 selections on the weekday menu. I’d probably come back again and order their signature dishes from the Majestic Restaurant’s main menu. I’ve heard from a friend about the awesomeness of Taste Paradise’s custard buns but I’ve yet to try ‘em! The Char Siew sou and deep fried baby squid look so delicious! The pics are mouth waterrrring. I hope they are as tasty as they look. The photos are making me hungry. I am just wondering, if the dim sum is any better than imperial treasure ones which are my favorite. If they are not, I might not actually want to go all the way down to the hotel to try.